The ancient Greek philosopher Plato said, “I would teach children music, physics and philosophy; but more importantly music; for in the patterns of music and all the arts, are the keys to learning”. Plato certainly had a point. Music uses both sides of the brain, a fact that makes it valuable in all areas of development as it affects the growth of a child’s brain academically, emotionally, physically and spiritually. Music is to the brain as physical exercise is to the human body. Music tones the brain for auditory fitness and allows it to decipher between tone and pitch. A Swiss study of 1200 children showed how playing music helped children’s reading and verbal skills by improving concentration, memory and self- expression. A Hong Kong study found that adults who had music training before the age of 12 years were better able to recall spoken words than adults who had little or no training in music. 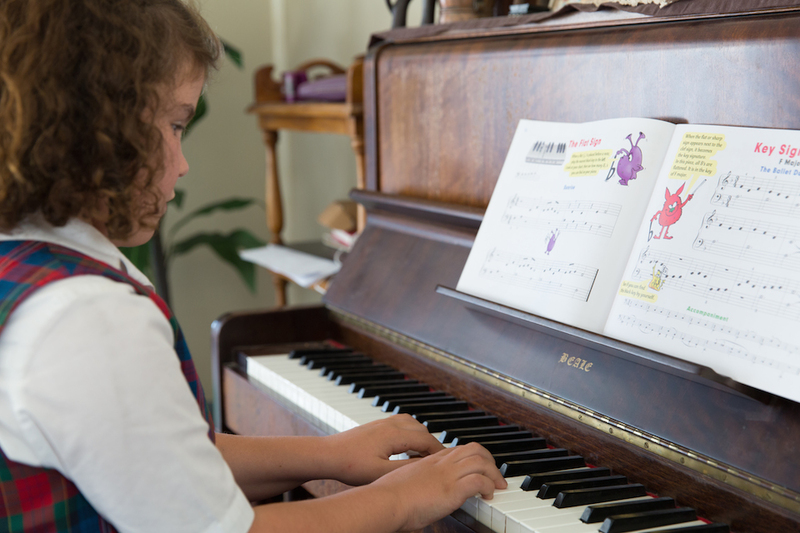 A US study discovered that children aged 5–7 years who had been lagging behind in their school performance caught up with their peers in reading and were ahead of them in maths after seven months of music lessons. We are emotional beings and every child requires an artistic outlet. Music is emotional and is an art form – it may be your child’s vehicle of expression. Music is for life. Most people won’t be still playing soccer or netball at 70 or 80 years of age but they can sing. And they can play the piano or some other instrument. Music is a gift you can give your child that will last their entire lives. This entry was posted in Uncategorized and tagged music for children, music lessons, piano lessons, piano lessons Wallsend on May 2, 2014 by Merri Bell.